Hopefully, you’re seeing my card as black with copper embossing. This was fun a pain to photograph! Oh me, oh my it took more time to photograph than to create…seriously! I love using sparkly things on my cards but they don’t always translate well with the camera. I’d love to hear how you manage to take pictures of cards like this…any little hint would be most appreciated! A very simple card, easy to mass produce for your entire Christmas card list if you choose. 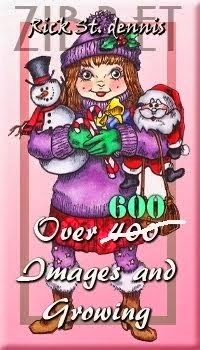 My focal image is 2.75″ x 3.75″. It’s been stamped in Versamark and heat embossed with copper. Then an embossed layer to keep with the theme. Then it was distressed for some added texture and done! Absolutely stunning! 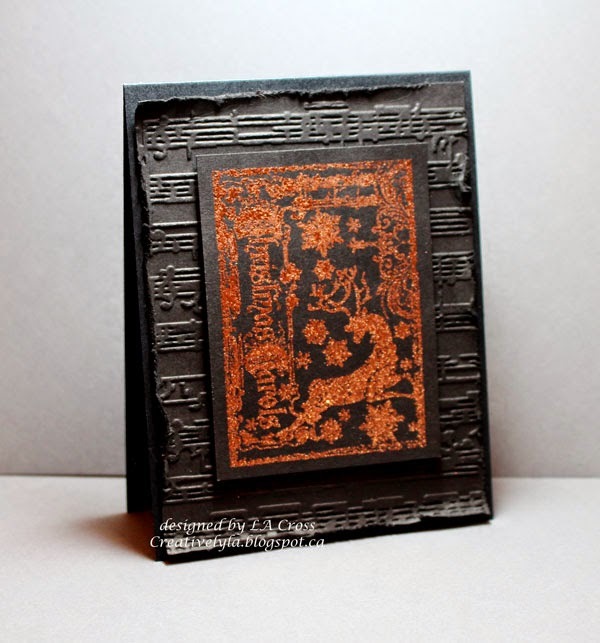 I really like the embossed background and that wonderful copper embossed image. Beautiful work. Your copper embossing is AMAZING, Lee-Anne! I love all the texture and dimension, and your design is perfect! Shiny objects on cards are always problematic for me, too…I think Loll has a great idea! Gorgeous card – I love the black embossed background – what an unexpected color combo for Christmas – so pretty!